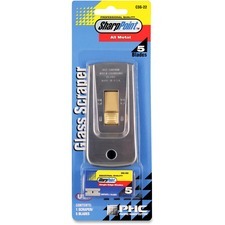 Metal Paint/Glass Scraper offers a heavy-duty, retractable construction for safety and durability. Ideal for scraping windows, scraping paint and removing decals. 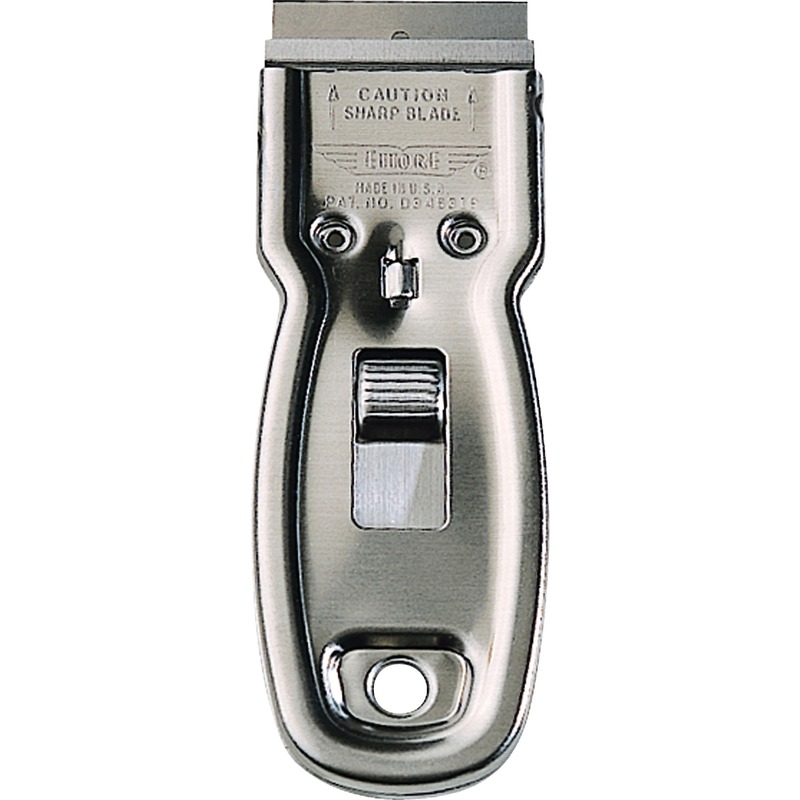 Professional-quality scraper is formed from sheet metal with stiffening grooves to prevent twisting. Single-edge razor blade is super sharp and precision-honed for smooth scraping. 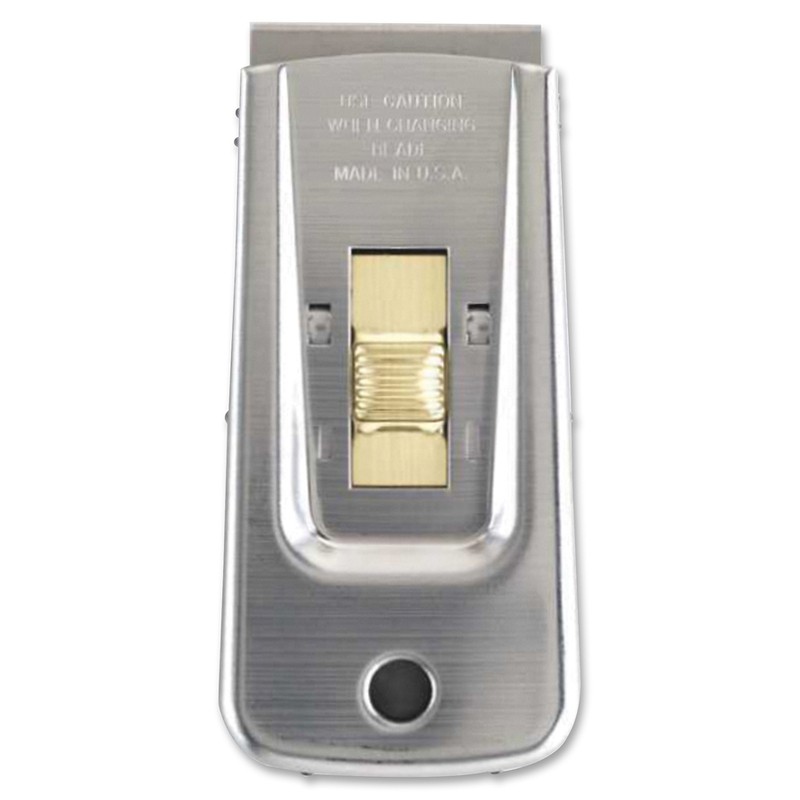 Brass slider locks into position to keep the knife extended during use and to keep the knife safely retracted. Activation button is smooth with no sharp edges. All-metal scraper is welded at 10 points. 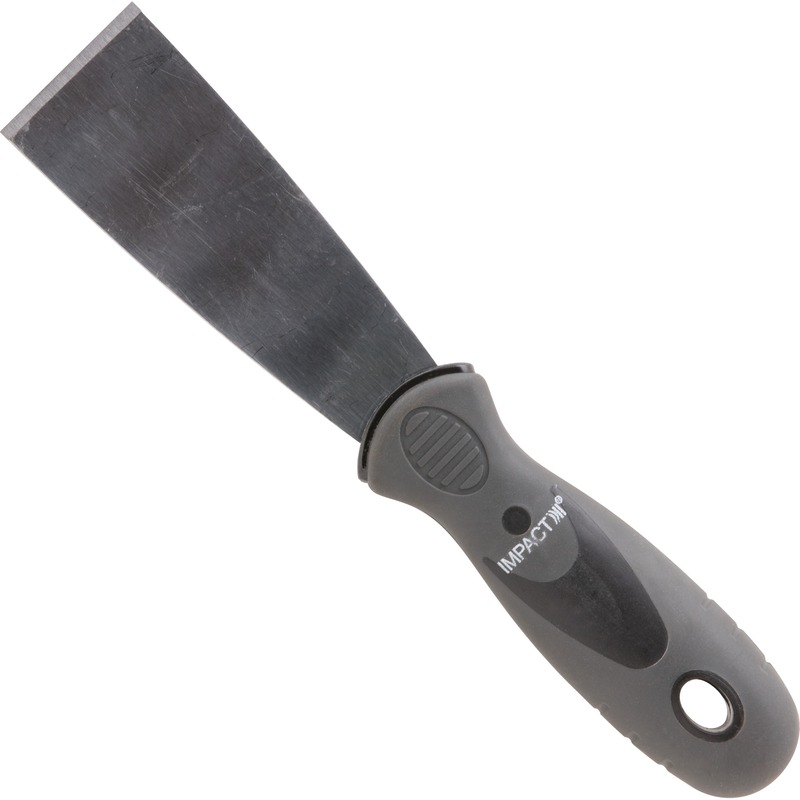 Scraper includes pack of five single-edge blades.